for advanced fire protection systems and the latest industry standards. 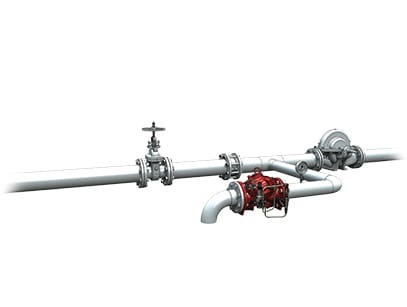 The 43T prevents damage from over-pressure in piping systems, maintaining a preset upstream pressure limit regardless of pressure peaks and fluctuating conditions. Due to exceptional reliability and low head loss, it is ideal for relief of fire pump discharge. 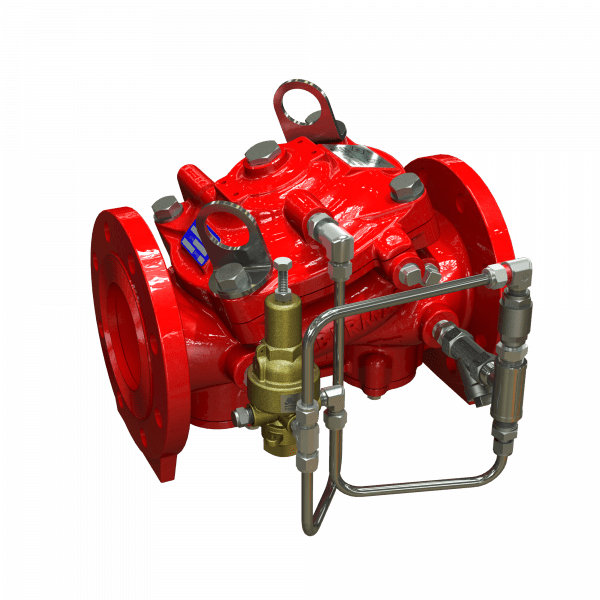 The 43T dependably relieves excess system pressure to sump or atmosphere, meeting all NFPA, UL, and FM requirements for fire pump service. The 43T is also well-suited for maintaining foam concentrate discharge pressure for a balanced proportioning system. As an option the 43T can be fitted with a valve position indicator that can include a limit switch suitable for Fire & Gas monitoring systems. 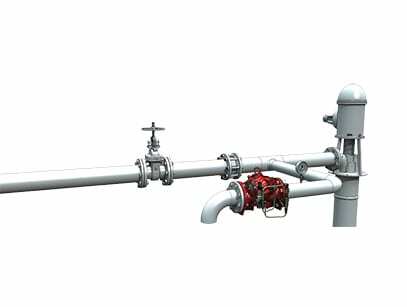 A typical installation of the BERMAD model 43T features a pilot valve for the automatic and accurate maintenance of a constant preset maximum upstream pressure, regardless of fluctuating demand. A unique actuator design ensures quick and smooth valve action.